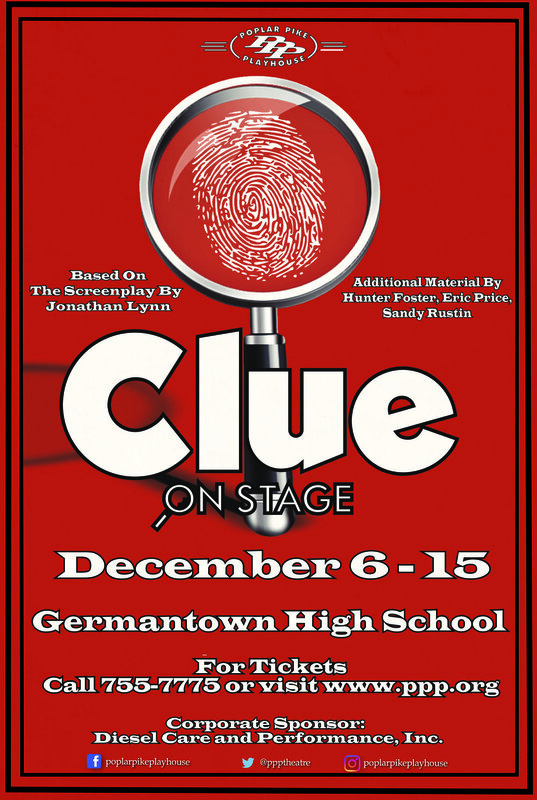 The Poplar Pike Playhouse is excited to announce its upcoming fall production Clue: On Stage. Based on the classic board game and movie directed by Jonathan Lynn, everyone’s favorite ‘whodunnit’ comedy follows six “colorful” characters who are blackmailed for their scandalous deeds. Find out what happens when these individuals are invited to dinner by their mysterious blackmailer, Ms. Boddy. 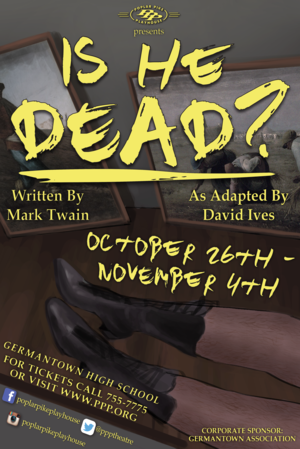 The satirical comedy, written by Mark Twain and adapted by David Ives, follows a fictional version of the great French painter Jean-Francois Millet. While Millet struggles to meet the demands of a cynical art dealer, Millet’s inner circle advises him to fake his death in order to reach fame and stardom as an artist. Millet must decide whether to be dead and rich or alive and dejected. Derived from the unfinished novel written by Charles Dickens, the “show within a show” orders the actors to portray two characters, the actors and actresses from the Music Hall Royale and the characters they play in The Mystery of Edwin Drood. The musical follows the story of Edwin Drood, a rich and popular young man portrayed by the famous male impersonator, Alice Nutting. Drood is set to be married to the beautiful Rosa Bud, portrayed by young actress Deirdre Peregrine; however, as the show progresses, other male admirers come to light creating turmoil for the two lovers. In the confusion among the characters, Drood disappears and is presumed to be dead presenting the audience with the question, “Who murdered Edwin Drood?” The answer to the murder mystery is decided by the audience, who will make numerous plot-altering decisions throughout the show. In a Gotham-like city, a terrible water shortage, caused by a 20-year drought, has led to a government-enforced ban on private toilets. The citizens must use public amenities, regulated by a single company that profits by charging admission for one of humanity's most basic needs. Amid the people, a hero decides that he's had enough and plans a revolution to lead them all to freedom! Ariel, daughter of Triton King of the Sea, falls in love with a human prince. To achieve her dream of being on land with him, she goes to the evil sea witch Ursula who transforms Ariel’s fins into legs in exchange for her voice. The catch is Ariel only has three days to seal the spell with a kiss from her prince. If she can’t, she becomes Ursula’s slave for eternity. Nicole Burns, a modern day teen, is thrown back in time to Paris, France during World War II. As the Nazi’s invade France, Nicole is forced into hiding. While struggling for life, she comes face to face with Anne Frank. Nicole comes to respect and admire those who fought for their life. Tracy Turnblad wants nothing more than to dance on the popular Corny Collins Show. When she finally lands a spot, Tracy must learn to balance her new-found stardom with her deep desire for doing what’s right. Hairspray not only defines a generation, but provides a deeper meaning. That combination makes it one of the best musicals to ever grace the Broadway stage. This wacky comedy begins with the arrival of an ambitious school teacher. Leon arrives to tutor the local physician's daughter, but soon discovers these nutty townsfolk have been placed under a curse of stupidity. When Leon meets the doctor's daughter, he falls in love and learns she is the key to the curse. The Wiz, a dazzling musical adaptation of L. Frank Baum’s classic The Wonderful Wizard of Oz, is a story of courage, brains, heart and home. The show retains all the timeless characters while adding its own twist, complete with a sassy and funky musical score second to none. Movie-obsessed Mildred Wild will do anything to escape the reality of her daily life. Pitted against her sugar addicted husband, his intrusive sister, their oddball landlord and the neighborhood butcher boy, Mildred drifts off into magical and mysterious fantasies lifted right out of scenes from her favorite films. With only days away from a wrecking crew tearing down their apartment, Mildred must save her marriage, ace her Hollywood screen test and escape the grasp of King Kong! Based on the well-known fairy tales of the Brothers Grimm, Into the Woods leads the audience on a fantastical journey. When a Baker and his wife learn they've been cursed with childlessness by the Witch next door, they embark on a quest for the special objects required to break the spell, meeting up with a cast of well known characters including Cinderella, Little Red Riding Hood, Rapunzel and Jack (of beanstalk fame). 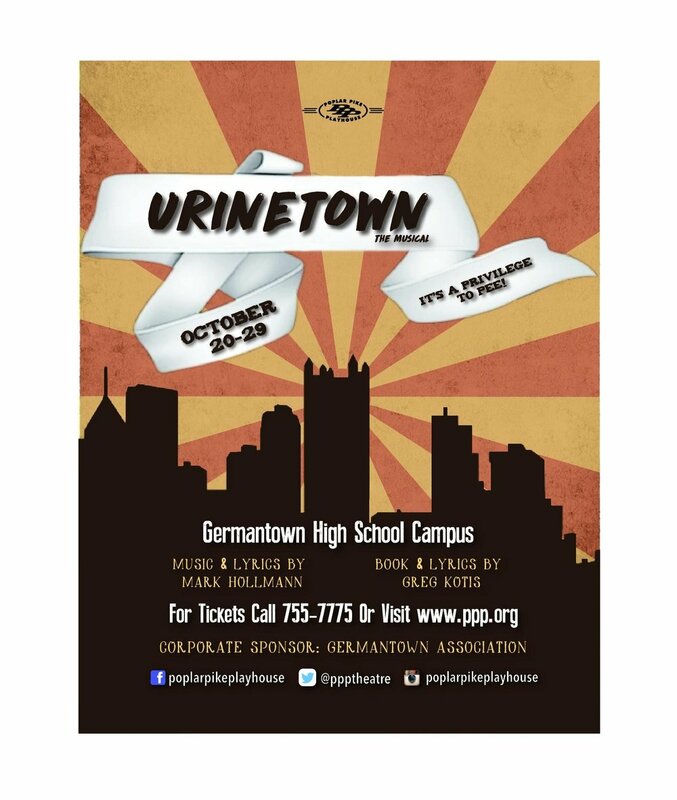 Germantown High School, in association with Theatrical Rights Worldwide, presents the world premiere of a new musical, Changing Minds. The show features a pop-musical score that revolves around the always-complicated lives of high school seniors. A mysterious spell causes the school’s most popular boy and studious girl to swap bodies and minds. Now they are both forced to navigate prom season and graduation from a whole new realm. A timeless tale turned Broadway hit, The Secret Garden is set to make its highly anticipated return to the Poplar Pike Playhouse. This award winning musical, first seen on the Playhouse stage in 1995, recounts the sentimental tale of Mary Lennox, a young orphan girl sent to live on a mysterious English estate. Corporate espionage, patents-pending and a testament of love take the stage this fall when the award-winning Poplar Pike Playhouse presents the Memphis-area premier of The Farnsworth Invention. Fresh off its Broadway run, this captivating tale is penned by Aaron Sorkin, Golden Globe and Emmy award-winning writer of The West Wing, A Few Good Men and the new hit film The Social Network. Parade recounts the true life story of Leo Frank and his wife Lucille, whose love for her husband leads her to fight to save his life. This inspiring and riveting musical, conceived by Hal Prince (Phantom of the Opera) and written by Alfred Uhry (Driving Miss Daisy), won multiple Tony and Drama Desk awards in 1999 including Best Musical, Best Score, Best Book, Best Orchestration, Best Actor and Best Actress.